After winning his second Tour de France, Spaniard, Alberto Contador, is being tipped to threaten Lance Armstrong's all-time record of seven victories. Contador could relax as he headed into Paris in the peleton. 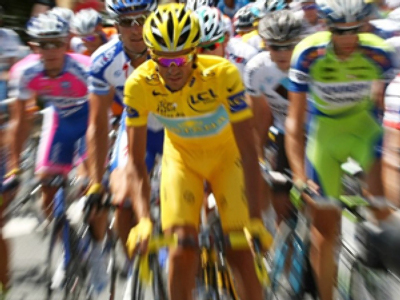 It is tradition that the wearer of the Yellow Jersey isn’t attacked by other riders on the final stage. At only 26, the likes of the green jersey winner Thor Hushovd reckons the Spaniard could go on to win another five tours. Again no-one could catch Canonball Cav as he was lead out by his Columbia team-mates. But the Spanish rider had his arms aloft as he rolled over the line. He beat Andy Schlek of the Netherlands into second place by over four minutes. "What I can say is that I am very happy to win this second Tour. It was a very hard Tour for me, I could see from the start that it was going to be a difficult and very special race. 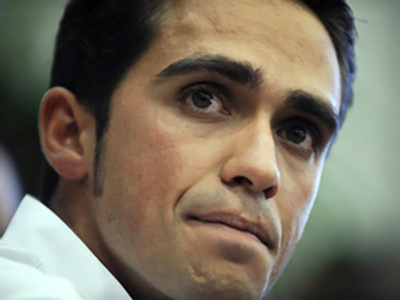 Thank you to everybody, I will see you in the future, thank you," Alberto Contador said standing on the podium. 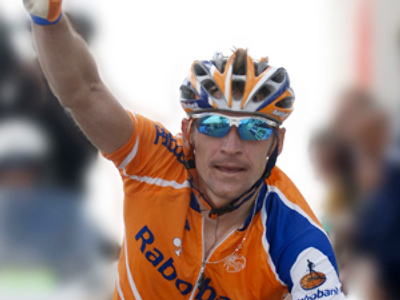 While Lance Armstrong – at the age of 37 – completed the event, after four years in retirement, he will be back next year with his new team, Radioshack. The Tour became a major disappointment for the Russian riders, with the best of them – Vladimir Karpets – finishing just 13th. Giro d'Italia 2009 winner, Denis Menshov, who had high hopes for the event, suffered several falls and came in 51st in the end. Russia’s only success was a Stage 14 win by Sergey Ivanov.